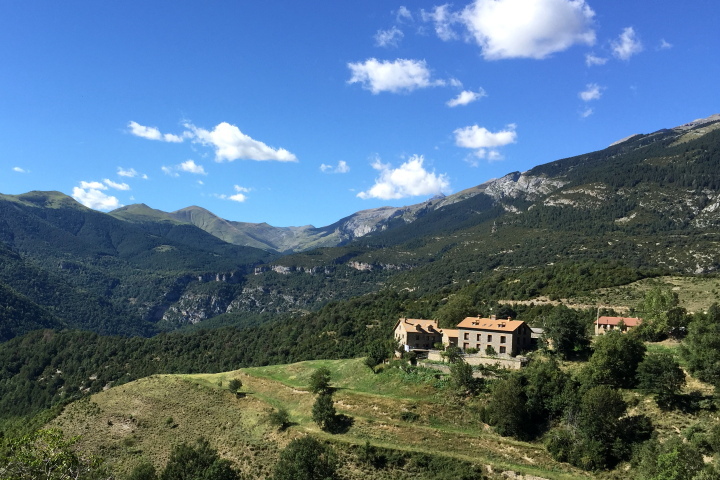 If you’re a lover of dramatic wild places, of rare birds of prey and also of photography, you’ll be bowled over by this spectacular and unique guided trip which combines hiking birdlife and photography in the Spanish Pyrenees. 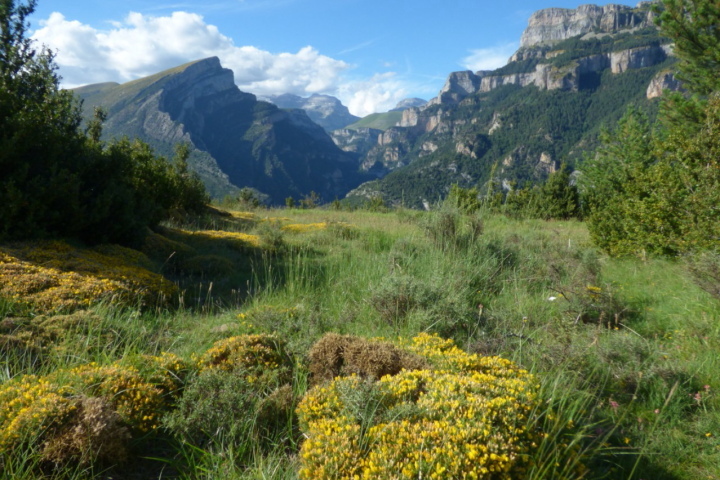 This exceptional experience takes place in the outstanding and unusual environment of the Haut Aragonese Pyrenees and the Ordesa and Monte Perdido National Park. 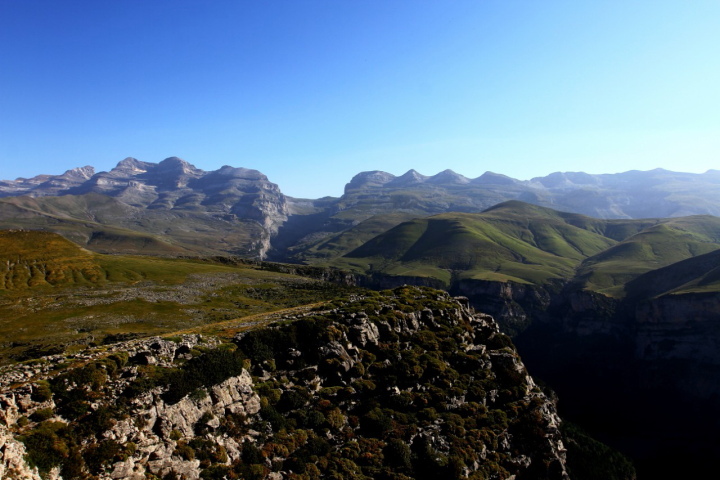 The area is characterised by deep, steep-sided limestone gorges and inaccessible, rugged cliff faces which will take your breath away. We’re timing this hiking trip to coincide with the Spring migration of numerous birds of prey and rarer bird species. You may see bee-eaters who will be making their journey North from their winter quarters in Africa or possibly even wallcreepers who head up to these higher altitudes in the Springtime. The sheer limestone cliff faces and steep gorges of the National Park provide an ideal breeding environment for countless bird species. However, it’s the birds of prey that are the stars of the show here. Peregrine falcons, golden eagles, Egyptian vultures, black vultures and particuarly the threatened bearded vulture (aka the Lammergeier) settle here each Spring to raise their young. 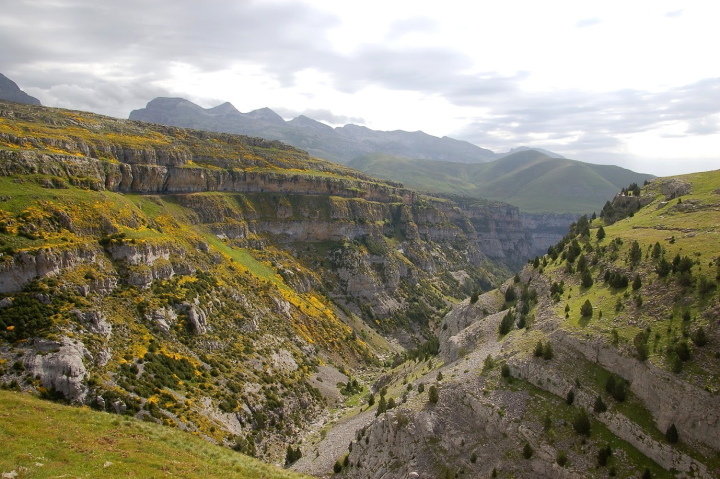 What’s more, the Spanish authorities chose this rugged area for a bearded vulture reintroduction and breeding programme. The ongoing programme is highly successful and we can now count over 50 breeding pairs in the area. There are numerous opportunities for the amateur photographer to take spectacular photos during this trip. A couple of feeding stations have been set up in the area which attract an impressive variety of birds of prey. Hikes will be timed to coincide with the feeding days to afford you maximum photographic possibilities. 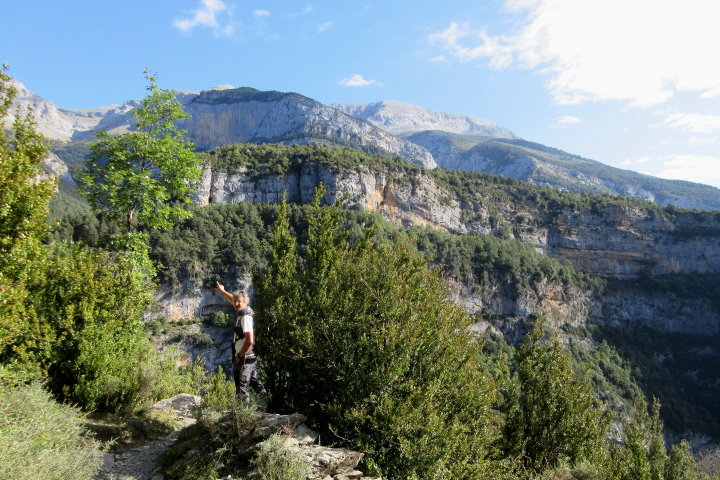 Your expert guide will also ensure you are in place to observe the birds as they catch the morning thermals and rise majestically up from their roosts in the deep gorges. It really is a spectacular sight! Landscape photographers will likewise be blown away by the vast geologic formations of this dramatic environment. 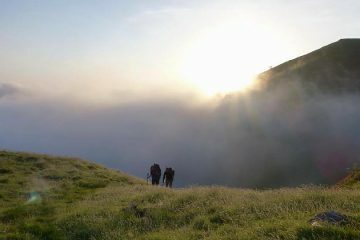 There is nothing technical about the hiking. However, due to the ascent which may be up to 750m you should avoid bringing your biggest lenses unless you have a high level of fitness! There will be regular stops to allow you to take full advantage of the photographic opportunities. Each day’s itinerary may be adjusted to take account of local intel on the birdlife currently in the area. 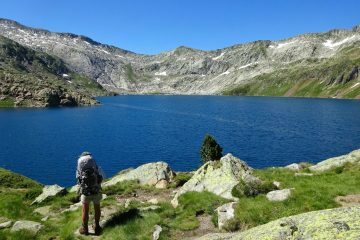 This is a two centre hiking, birdlife and photography trip. Your base for 3 nights will be a small family run hotel just a few hundred metres from one of the feeding stations near the Escuain gorge. 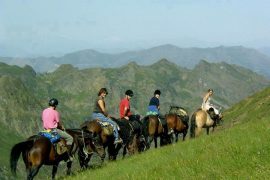 For the other 2 nights you’ll stay in mountain refuge accommodation above the spectacular Anisclo gorge. 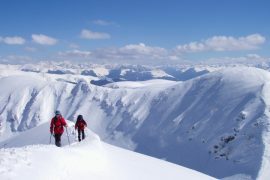 You’ll be collected from Toulouse airport for a 2h30 transfer which will take you through the dramatic landscape of the centre of the Pyrenees chain. Your base for the next 3 nights is a charming little family-owned and run hotel in a spectacular setting above the Tella valley. Your stay commences with a gentle introductory hike from the hotel. 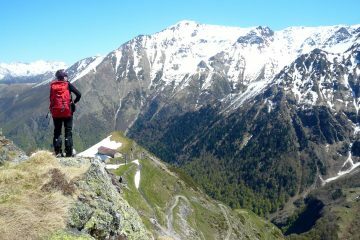 You’ll follow the GR15 up to the picturesque suspended hamlet of Tella with its far-reaching views of the Cinca valley and the surrounding mountains. The architecture is typical of this mountainous area with slate roofs and distinctive chimneys. 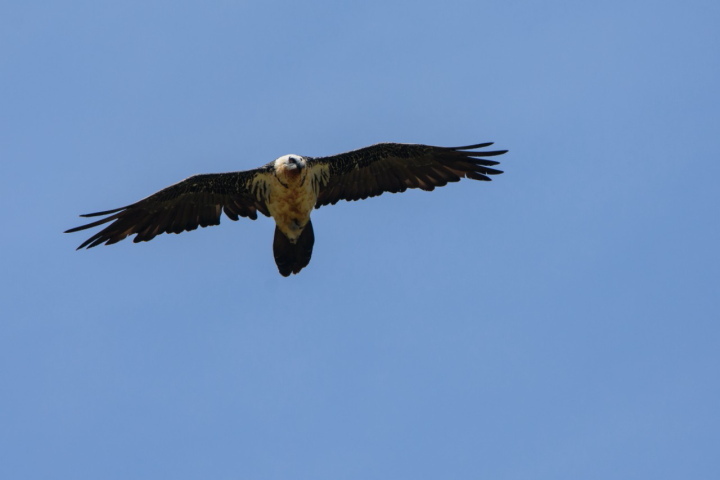 Look out for bearded vultures overhead as well as other vultures, eagles and numerous falcons. 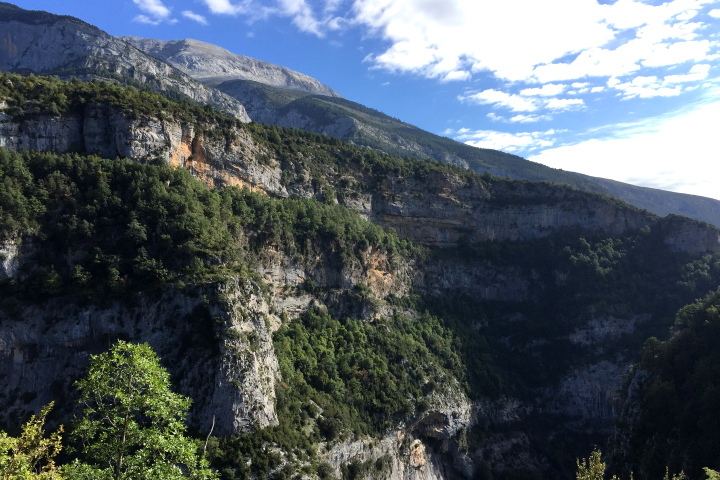 From the hotel you’ll hike above the spectacular gorges d’Escuain and admire the impressive outcrop of the Castillor Mayor across the valley. A goal for another day! 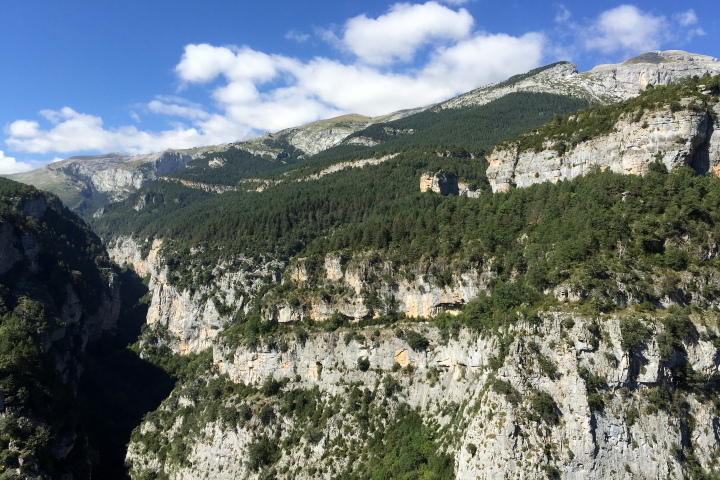 You’ll make your way to the grandiose Cirque de Gurrundué, a vast natural amphitheater at the foot of the Tres Marias massif. 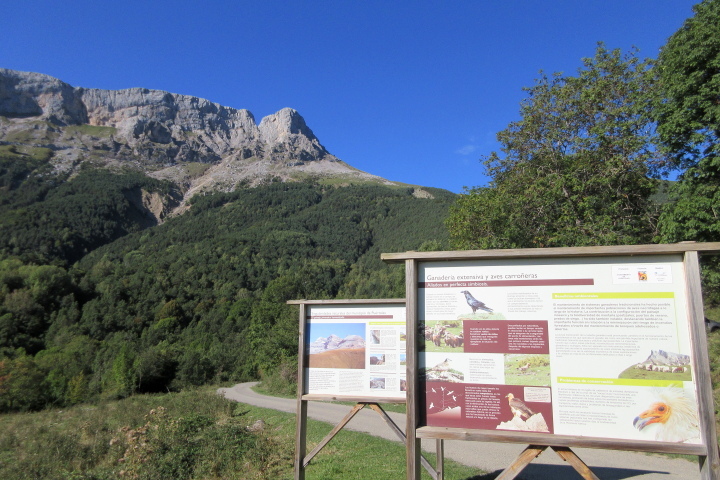 The amphitheater is typical of this area of the Aragon Pyrenees and is a sanctuary for not only the Lammergeier but also numerous other birds of prey. Stay a while and observe the rich birdlife before making your way back to your hotel and a delicious home-cooked traditional evening meal. The Castillo Mayor is a local landmark and can be seen from quite some distance away. This vast, magical limestone outcrop has steep steep sides on which the birds of prey tend to linger. 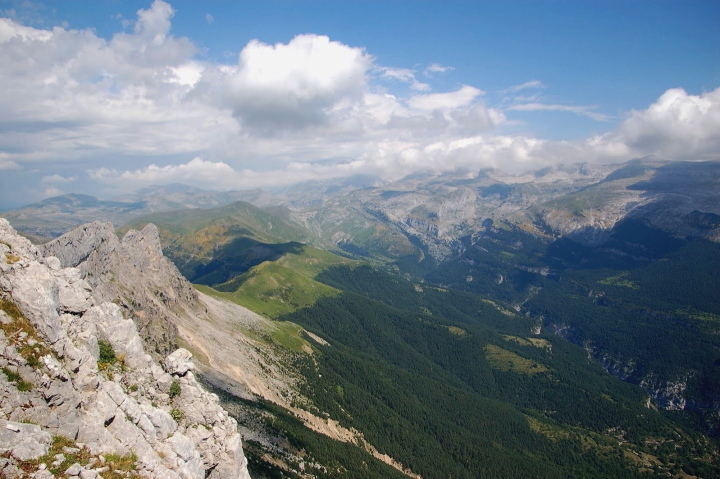 From the summit you’ll look towards the Aragonese mountains and down to the beautiful river Yaga and the Escuain gorge. 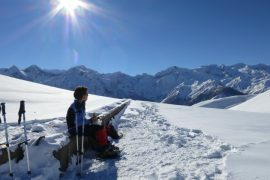 You’ll spend the night in mountain refuge type accommodation at 1281m in the village of Nérin where you’re surrounded by the most spectacular unspoilt environment. 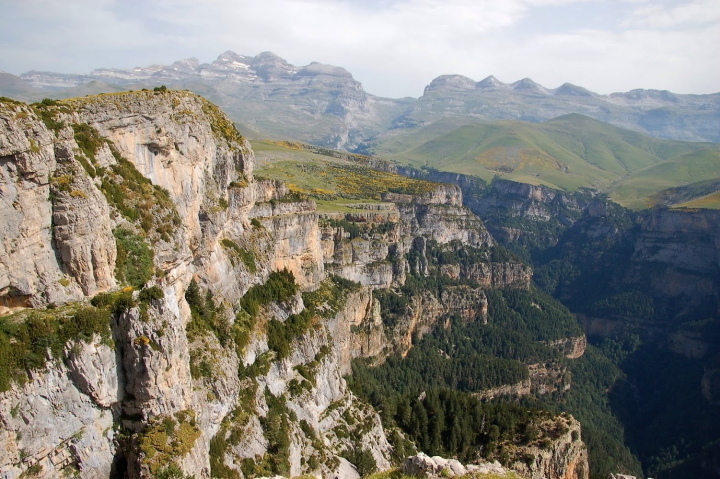 Today you’ll discover the heart of the Ordesa National Park and the Mondoto peak which, at 1000 alt, dominates the impressive Anisclo canyon. 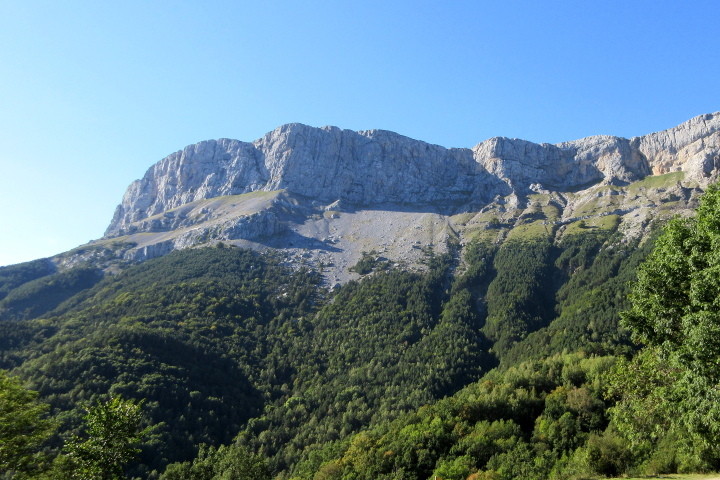 From the peak you’ll enjoy uninterrupted views of Mont Perdu, the highest limestone outcrop in Europe. 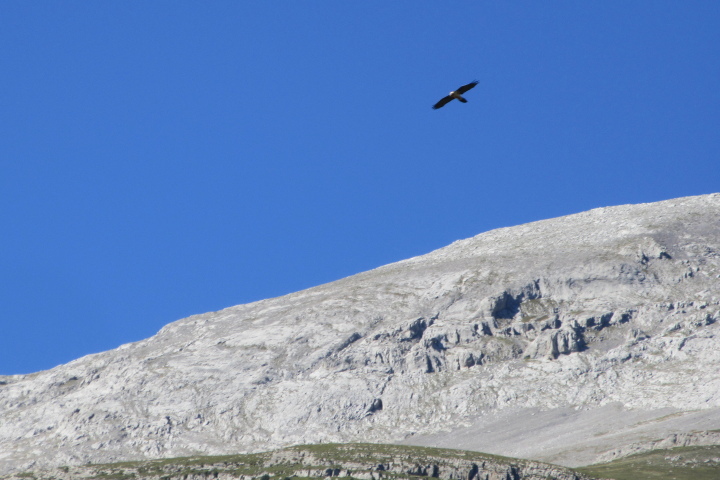 Look out for numerous raptors as they ascend from the gorge on the thermal currents that develop in the morning air. After a good breakfast you’ll be transferred back to Toulouse airport for your flight home.